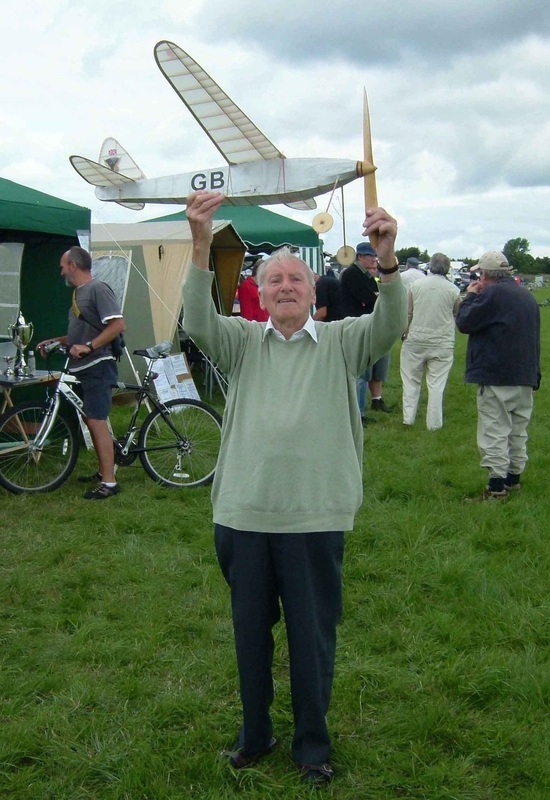 Bert Judge holds aloft his 1936 winning model. 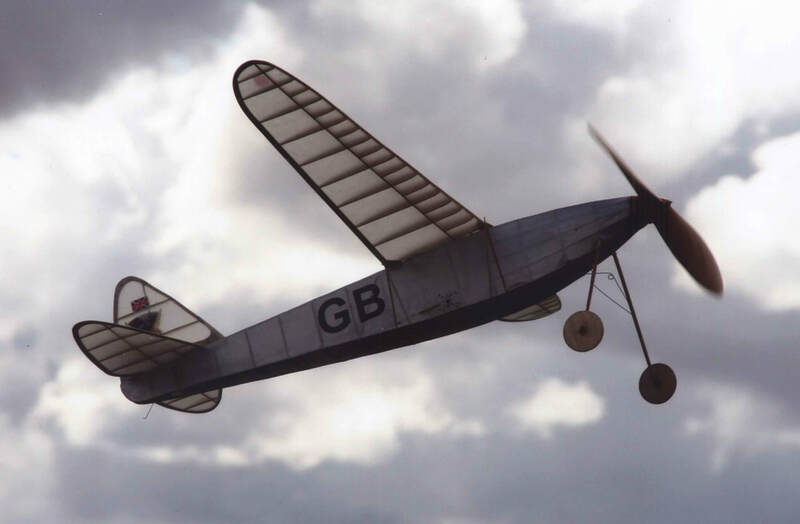 Bert Judge, 89 years old, releasing his own replica of his 1936 Wakefield Competition Winner. This picture was taken in 2006 at Little Rissington. 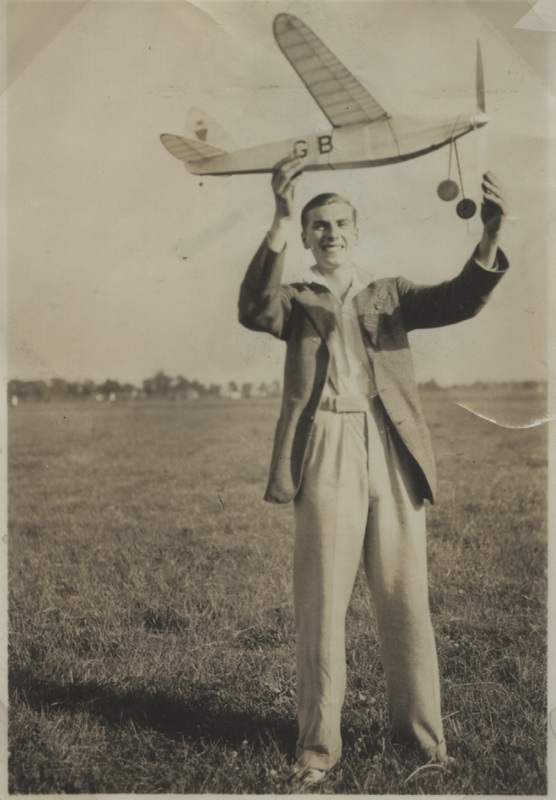 With NO practice or flying for many years Bert still managed to achieve third place amongst experienced competitors. Well, it's the 1936 Wakefield Champion - but the picture was taken 70 years later in 2006 at Little Rissington! Bert hasn't changed a bit! 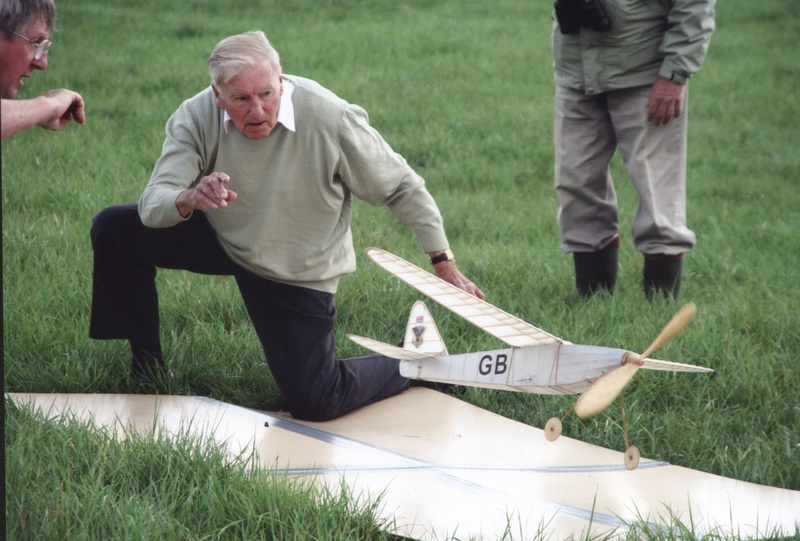 ​An amusing note: At Little Rissington a current, experienced competitor tried to help Bert by re-aligning the Take-Off Board. Bert was adamant that HE wanted it pointed in a slightly different direction. Bert was right!